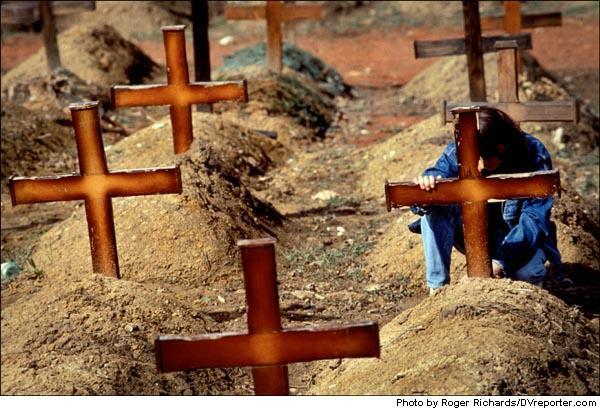 A woman mourns among the graves of Serb citizens of Sarajevo killed by shells and snipers during the Serb siege of the city, at Lion Cemetery. April 1993. Photo by Roger Richards.